Refresh your life with a tiny little adventure that's close to home and easy on your pocket. Inspiration is abundant in this brilliant and beautifully-illustrated guide, perfect for summer holiday activities. What exactly is an adventure? Something that's new and exhilarating. Something that launches you from your comfort zone into a different place altogether. An adventure changes you and how you see the world. And while we can't all be Bear Grylls, what an adventurer really needs is bags of enthusiasm and boundless curiosity. 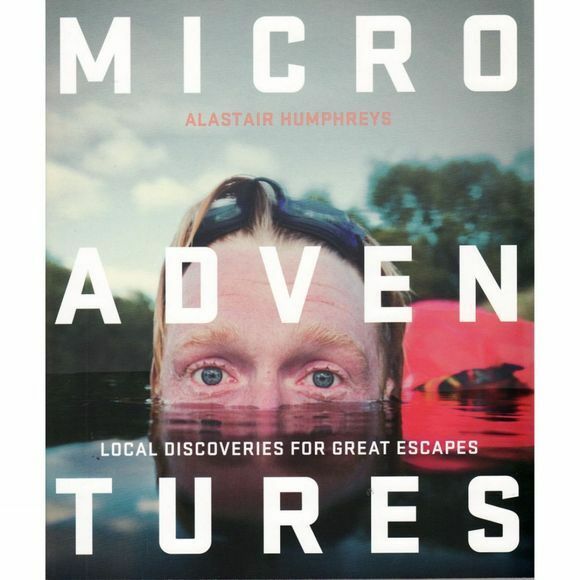 Let Alastair Humphreys introduce you to the exciting world of microadventures – adventures that are close to home, cheap, simple, short, and yet very effective. A microadventure takes the spirit of a big adventure and squeezes it into a day or even a few hours. The point of microadventures is that you do not need lots of time and money to meet a new challenge. Go on a night hike; follow a nature trail; take the plunge with wild swimming. This practical guide is filled with great activities and days out, and over 150 stunning photographs, plus tips and advice on safety and kit. Whether it is sleeping on a hilltop, cycling a lap of the Isle of Wight or walking home for Christmas, it's time you discovered something new about yourself and the world outside your window. Adventure is everywhere, every day, and it is up to us to find it.